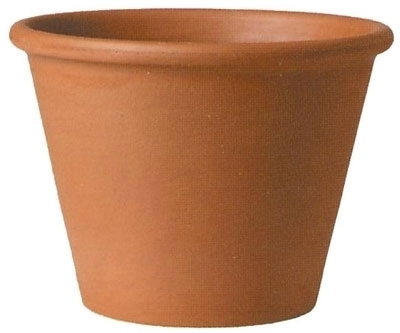 Our European version of the standard flowerpot is similar in style only this terracotta planter has a tightly rolled rim at the top opening. 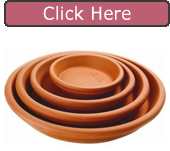 Each garden planter is made of the finest terracotta clay. It is baked to a warm terra cotta color that ends up smooth and silky to the touch. This home and garden style of planter uses clay that breathes and is considered very healthy for your plant's root systems. Our largest Italian Euro Pot is oversized at almost 15" wide. Made in Italy using a mechanical process ensures that each pot is identical. A sun-baked color is produced when fired in a gas kiln. Available in a wide range of sizes from small to large. This style of Italian terracotta flowerpots has been best sellers for years!